"At 4:48, when desperation is lurking, I'll hang myself to the sound of my lover's breath," wrote Sarah Kane and took her own life as only 28 years old. She never got to see her own play on stage. In 4:48 PSYCHOSIS the language is naked, almost like chamber music – dense and poetic in its form. But what is being talked about is still a harsh realism: love, loss of identity and self-perception. It is theater that quivers from personal experience. Despite the tragic subject 4:48 PSYCHOSIS is characterized by a frightening poetic clarity and gives a clear and multifaceted image of a human breakdown. After her death the view on Kane's work changed considerably. But the recognition of her non-naturalistic idiom is still more growing on the Continent than in her own homeland. What Sarah Kane primarily left behind was an almost unheard desire to confront the audience with the basic fragility of life and the moral god of existence. Along with the re-staging of 4:48 PSYCOSIS at the Royal Theatre’s Portscene in 2010, director Jacob F. Schokking said: "Suddenly I discover an incredible clarity in the text which at first seemed hard to work with. I, as an ordinary mortal, might have to turn 50 years before I realized the clarity of the text - something Kane, at a very young age, had a special feeling for. " 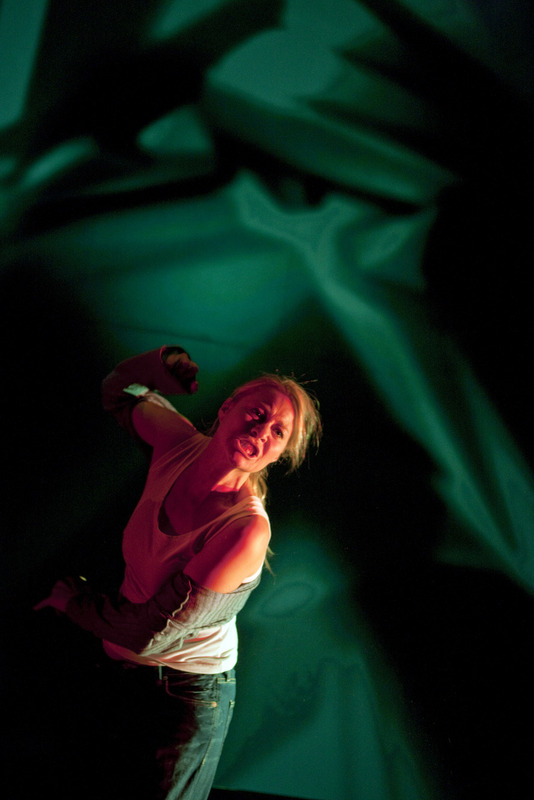 Trine Dyrholm was the only actor on stage in Jacob F. Schokking's landmark staging, while Kristian Halken appeared as a psychiatrist in video projections. In 2002 The Reumert committee awarded Trine Dyrholm an award for “Best Female Lead of the Year”. Jacob F. Schokking also received “The Reumert Special Award” in 2002 and 4:48 PSYCHOSIS was mentioned along with the award. Jacob F. Schokking and Holland Houses staged 4:48 PSYCHOSIS for the first time in 2002 at the Betty Nansen Theater. Since then it has appeared as guest performances at the Royal Theatre’s Portscene in 2010, Intercity Festival in Florence 2010 and at the theater Svalegangen in Aarhus 2011.